This resource is available in the Study Abroad Corner. This test preparation material is useful for you if you want to improve your English skills in doing the test. This material has 4 parts. 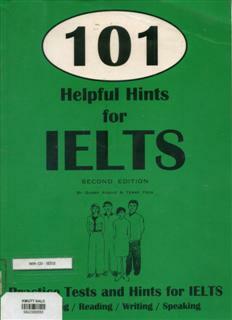 In Part 1, you will learn general information about the IELTS test. In Part 2, you will learn 101 tips in practising and doing the test. In Part 3, you can do 4 practice tests, and check your answers in part 4.